When I heard X-Factor was going to be like another American Idol, I wasn't to excited to see it, but after watching it for the first few weeks, and seeing yesterday's live show, I have to say, it is one of my favorite shows on tv at the moment. X-Factor differs from AI because it allows a wider age range, and lets groups compete along with individuals. There are 4 judges who each team up with a certain group. This adds some competitive nature among the judges which makes for good tv. Last nights 2.5 hour live show premiere was very entertaining. I like how it was packed with content and no nonsense such as waiting until the last minute or going to a commercial break before announcing the results as is common for these types of shows. Right after each group performed, they chose who was going home. Simon is his usual over-confident self. LA is really into his group, maybe a little too much. Paula is sweet and caring and Nicole is passionate. They banter back and forth when judging the singers after each performance. One thing I don't really like about the show is the host. He comes off as very impersonal and robotic. I get that he has to keep the show on time, but many times he interrupted very important parts where emotions were high and people wanted to see. He seemed to not know who the singers where, referring to them as "this girl" or "this boy". It doesn't ruin the show, but he could show a little more compassion. I'm looking forward to next weeks live show where the viewers will start voting for their favorites. Check it out if you haven't seen it yet. Life is tough, but you can do it. Sometimes I get depressed and unhappy with my life. It usually happens when I think about my limitations and compare myself to other people who supposedly have it better. I think about all the bad things that are in the world and wonder why it has to be like that. Why isn't it better? I wasn't brought up religious. I know a lot of people believe in God. Isn't God suppose to be in charge? He made the earth a everything on it right? Why would he allow all the bad stuff to happen? I'm not really looking for a religious debate, it's just something I think about sometimes. You really need something to look forward to in life. You need something to live for. What I realized is that this can be different for everyone. Some people desperately want to get married and have a family. For them, that is something they look forward to. I thought about what I look forward to and the things I came up with are: browsing my favorite sites on the internet, watching good shows on tv, and listening to good songs. These are activities I enjoy and they continuously provide new content. It is kind of sad that those are the things that come to my mind when I think about what I look forward to in life. Some people might say they look forward to hanging out with friends or family; maybe going out and doing fun things or traveling. To some, those things are much more important that the activities I mentioned. I may be going off topic, but this is just free flow writing after a session of deep thoughts. I wonder about if there is an after life. Personally, I think there is a good chance there is, that when you die, your "spirit" goes on. I would like to think that karma is involved and if you were a good person, you will have a good experience in the next life. Same goes for people who were bad, they would be dealt with accordingly after they die. I wonder if I am not doing the right things with my life. I think about my job. I need to do it to earn money, but in the big picture, it seems like a waste of time. There are better things I could be doing. I could be making better contributions to society. There is so much to think about. So much to consider. So much we don't know. Life is tough, but we can do it! The new season of Rules of Engagement aired last night. In case you haven't heard of it, it is a sitcom on CBS that has been on for about 5 seasons. Due to odd scheduling and not much promotion, the show has gone someone unnoticed compared to other comedies such as The Office, Big Bang, or Modern Family. I was lucky enough to catch onto it a while back. I loved it and went back to watch all the episodes. The show follows 2 couples, a middle aged couple, and a young couple. It also features 2 side characters, one who is a rich, arrogant jerk, and another who is his employee who pretty much does what he says. They all have different personalities and interact with each other throughout the episodes. In this new episode, Russel accidentally gets married to the girl Liz who he doesn't want to like, but for some reason, he can't help it. I love this new character they have introduced. I think she and Russel have great chemistry. This should be a good season. If you are new to the show, I recommend starting from the beginning so you learn who these characters are. It is one of the best comedies on tv right now. Don't pass it up! 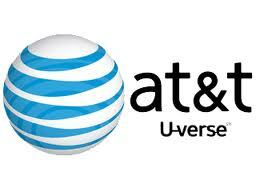 I have had a lot of problems with AT&T internet as I have expressed in previous blogs. Well, after a year, the frustration continues. My 1 year promotional rate for DSL was up so I called them up to see if I could get a lower rate or change plans. After talking to 2 people and going over different plans for over an hour, yes that is correct, I managed to get a "pending" plan. So if I decided to change, I could call up and set it in motion. The plan was to switch from DSL to U-Verse. I wanted to stay with DSL and just go to a lower plan, but they said I couldn't. Odd because on the website it still shows the lower rates. They said the only thing to do was to switch to the new U-Verse and get a 1 year promotion on that. At first they wanted to charge activation fees, and make me spend $100 for a new modem, but after negotiations, they waved those fees. They offered me a decent rate for the new internet, but still it was more than I was paying for DSL before. I said I didn't want to commit yet so the representative said, we could make the order pending until I was ready. Sounds ok right? Next thing I know I am getting emails about order confirmations, and they are send me a modem! Are you serious? I call them up and try to figure out what is going on. It turns out the order was set in motion, the only thing is that the activation was set for a later time in case I wanted to cancel it. Still, now I have this modem I don't even want. So I decide to cancel the whole thing. Next day the modem shows up at my home and I then had to put new labels on it, go to the post office, wait in line and mail it back. Not a good use of my time AT&T. So now I still have my original DSL at the higher rate and I'm not sure what I want to do. I might end up canceling the whole thing, who knows. Why is everything so difficult with this company? I thought I was done with this fiasco that is AT&T after I canceled my account and followed their instructions by sending the modem back. Guess what? I'm still getting a bill that says I owe them $100 for the modem, the one I never asked them to send me and the one I returned when they did send it to me. I call customer service and they are not there. I try the chat help on the website, they can't do anything about it. So now I have to wait until Monday and call them when I get home from work. I don't have time for this nonsense AT&T! The other day I was in a grocery store and I saw someone had left their keys on a table where you get your blood pressure measured. I thought, should I leave them there, or turn them into the pharmacy right by it. I decided to turn them in because then they would be safe and if someone called the store or asked about them, they would have them. As I was walking away, someone who was in line said something like, "There's a good Samaritan". It made me feel good. I hope the person comes back and gets their keys. Not everyone does the right thing. A few years back I remember a student of mine saying how he had once found a wallet and instead of trying to return it, he took the cash and tossed it. I can't believe he did that. Granted, he was young and one of the more troublesome students, but still, you would expect that people would try to do the right thing in a situation like that. 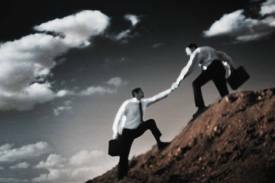 Today, I had the opportunity to help someone out, and I wanted to, but I passed on it because I was unsure. Let me explain. I was shopping for some parts for my car when a stranger approached me and asked if I could give him a jump start for his car. I was a little surprised, but I was willing to help. I asked him where the car was and he said it was little ways away, somewhere where I was unfamiliar with. The area I was in, is not a very good area, and I was not sure I could trust this guy. He was friendly, but something about the situation just told me not to risk it. I thought perhaps I would go to this car with this guy to help him out and then get jumped or robbed or worse. I didn't have a lot of time to think about all the different variables at the time, so I told him I was kind of in a hurry. He thanked me anyway and we parted ways. I would have liked to help him for sure, if only I could be certain his intentions were genuine. At the time I thought, why couldn't he call someone he knew, or ask someone out by where his car was parked. I just felt like it might have been a scam or something, so I passed up the opportunity. Have you ever been in a situation like this? Have you done a good deed for a stranger or have someone go out of their way to help you out? I watched Tim Allen's new sitcom last night and overall it was better than I expected. It's your traditional family style comedy with Tim as the dad in a house full of girls. The first couple episodes have focused on this theme with plenty of "man" jokes. This is ok, but I have a feeling it may get old soon. The wife in the show I didn't care for that much. She came off as a drunk mom who didn't really care. Maybe that is her character, but it is not appealing. There are 3 girls in the house, each with different personalities. I thought they were ok. I think the relationships are what will be the best part of the show, both between the family and the supporting characters. Overall the jokes were quick and funny for the most part. I'm not yet declaring it a required viewing show, but I'll probably check it out next week if nothing else is on. Update: 4-5-15 Wow this show is still on the air. I did not end up sticking with it but it is surprising that is is still on after all these years! So I just watched the finale of Breaking Bad and overall I have mixed feelings. Warning, spoilers ahead! Ok, I was glad to see Gus and his guys finally get what was coming to them. Walt and Jesse can relax now. Overall I thought the episide had some big moments, but most of it was a bit slow, especailly the parts with Tio spelling out words. I think they could have edited those parts to move it along quicker. I had heard the finale would be "explosive", so the bombs didn't surprise me. I like how Tio got revenge and helped Walt get rid of Gus, but the shot of Gus walking out and fixing his tie with half of his body blown off, I didn't like. I get that Gus is hard to kill, but that was almost comical and totally unrealistic. I think it would have been better if they didn't even show him and you just heard what happened on the radio. I was surprised that they decided to blow up the factory, but it does make sense now that I think about it. I was expecting a much bigger explosion, you know like you see in the movies with the good guys walking away and the huge explosion in the background. Come on, no hero cliche for Breaking Bad? What was up with the flower shot at the end? So are they saying Walt poisoned Brock on purpose? I don't buy that. So what, he did that so that Jesse would go to the hospital and then Gus would go there and he would blow up his car? That is a bit far fetched to risk a kid's life. Maybe I'm missing something, but something doesn't add up. I'm going to listen to the BB podcast and maybe get some answers. So what is next? I'm pretty sure they have one more season scheduled. They actually rapped this season up well and I could see it being the end of the series since Walt and Jesse are finally out of danger, but of course I want more. I have a feeling the last season will have a lot to do with Walt trying not to get found out by his brother Hank. You know there will be an investigation and there will be some clues that will tie him to it. 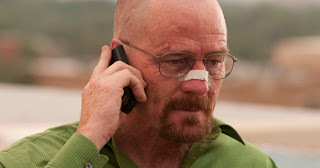 Prediction, for the last season, I think Walt and his family will try to start fresh, but eventually the DEA and Hank will figure out that Walt was involved with everything. He will possibly either go to jail, or Hank will get him out of it. I think he will be on his way to jail, but then he will die from his cancer before he even gets there. It would be sad, but they knew it was coming and no one wants to see him in jail. Anyway, good season overall, maybe not my favorite season, but still very good. Can't wait until season 5! The Chicago Marathon was today. I think deciding to run 26.2 miles is pretty ridiculous, and this is coming from someone who used to be a varsity distance runner. It is not good for your body to subject it to that amount of work. I am surprised to see how many people sign up to do it each year. Most people probably don't run the whole time. 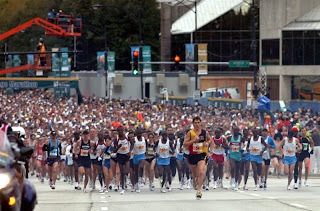 Maybe if you are going to do it with some friends and do a lot of walking in the middle it can be something fun to do, but running that distance is not a good idea as far as I'm concerned. Terms of Service agreements always bother me, especially when they put them in those little confined boxes, use capital letters, and have a long drawn out agreement using tons of "legal" words that no one understands. You have to agree to these things all the time whenever you sign up for something of install a program. And of course they don't give you the options to say no, so you have to "agree" or else you can't move forward. Few people actually read these and usually it doesn't matter, but there is always the chance that they could put something in there that you wouldn't want to agree with. That is why I don't trust these companies that make their agreements so hard to read and understand. It just shows that they are trying to hide something and don't want you to read it. For once can we get a terms of service that is written in plain English? What is going on with the trend of QR codes? From what I understand, they are little squares that you scan with your phone and it pulls up a website or more information on a product. It seems like these codes are showing up everywhere. I think this is another one of those fads that get blown out of proportion for no good reason. I mean, I see and advertisement with a code. They expect me to scan it and look up more information about it on my phone? No thanks. I'm trying to get less ads, not more ads. There may be some practical applications, but for now, I'm not buying into it. One thing that bothers me about filling out a job application is the references section. You know the part where they ask you to put down the name and phone number of 3 people who know you so they can call them up and ask them if you are a good person to hire. First off, I don't like giving out other people's information to people I don't know. I know I wouldn't really want random companies calling me up asking me to talk about someone who put me down as a reference. The 2nd reason why I think references are overrated is because of course people are only going to put down the contact information of people who like them and will say good things. So what is the point? No one is going to put down the names of people they don't get along with who might not put in a good word for them. In theory the references concept sounds like a good idea, but in reality it is not very helpful in determining a good candidate for a job. 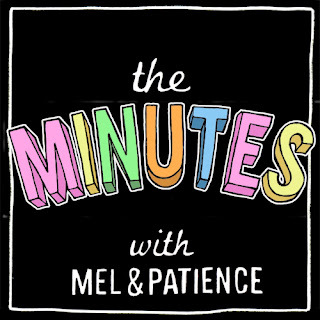 If you are up for some fun talk radio to listen to, check out The Minutes podcast which is produced every 2 weeks by the lead singer of one of my favorite bands The Grates, Patience Hodgson and comedian Mel Buttle. 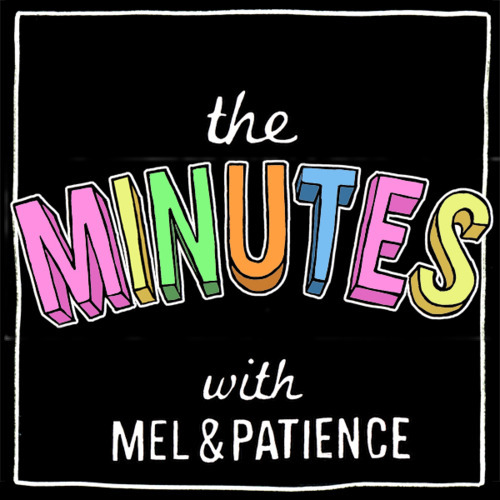 Patience and Mel are a couple of ladies from Australia who talk about interesting stories that happen to them and just about anything else that is on their mind. They both have great personalities and they are fun to listen to. So far they have uploaded 4 episodes. Being an American, you notice that even thought they speak English in Australia, there are a lot of different words they use for things as well as different expressions and sentence structures. I have already learned several Australian words by listening to it. The shows are about an hour to an hour and a half long. They start and end with a custom theme song they made that is short but catchy. You will hear entertaining stories about their childhood growing up and what they are up to these days. Check it out! I received my 2nd installment for my Cook County property tax bill and like many, was surprised to see it has gone up significantly despite the fact that property values have gone down. We had our building reassessed so the taxes were suppose to be lower and while the taxes did go down, changes to the homeowners exemption have caused the overall payment to go up. After looking over their website and not finding any information on why there is less deduction on the home owners exemption, I called the Cook County Assessor to get to the bottom of it. Apparently they are phasing out the homeowners deduction completely within the next few years. This is bad news for all home owners who depend on that exemption to help lower their rising property taxes. It would be nice if they stated this fact to explain why the taxes are going up. I had to call up to learn about it. I did a search and confirmed that the home owners exemption is being phased out. This change is going to mean higher property taxes for all Chicago residents in the near future unless they make some big changes. With a struggling economy, this is just another unwelcome obstacle we must deal with. With all the talk about the economy, protests and presidential approval, I thought I would chime in on the issue. Maybe it's because I have a job, but I don't think there is a big problem with the economy. Yes there are people who are unemployed, and yes it is hard to get a job, but that just means you have to be more competitive and try harder. The world, like the weather is constantly changing and you have to adapt. If you have a business and something happens where your product or service becomes obsolete, it's unfortunate, but you have to move on to something else instead of trying to force things back to the way they were. I think people need to take responsibility for themselves and their situations. I'm tired of people blaming their problems on the president and the CEOs of corporations. If times are tight, you need to save more and spend less. Even when times are good, you should still be saving to cover yourself for when time go bad again. People spend money they don't have by using credit and financing. 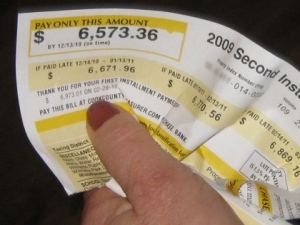 Using credit cards is fine as long as you pay the bill in full every month. 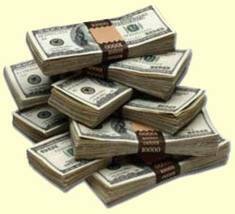 Financing is ok, if you have plenty of money to cover the entire expense, but you want to stretch out the payments. I liked Obama when he was first running for president and I still like him today. People blame him for their problems when it is not his fault. One person does not have control over everything that happens. Yes he is the leader of the country, but he can't just make miracles happen. He is a good guy and he wants the best for the people of the country. Don't you think if he could give everyone great jobs and make everyone wealthy he would? 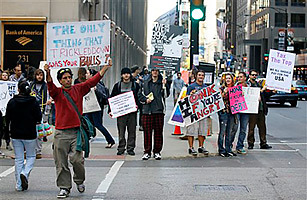 There have been protests with the whole "occupy wall street" thing. I have been reading about them and I still do not really understand what they are protesting. To me it seems like that are unemployed people complaining about how others have jobs and are making a lot of money. Maybe they have nothing better to do and they want to join something that is getting news coverage. I doubt it will change much of what is going on with the economy. Overall, people need to adapt to the current economy we live in, take responsibility and work hard. Individuals have more control over their own lives than do big business owners or even the president. After searching for comedian Brian Regan videos on Youtube, I discovered a young 13 year old interviewer named Pavlina. She did a 1 on 1 interview with him that was entertaining for all the wrong reasons, much like the Rebecca Black phenomenon. Pavlina is a sweet girl who's interviews skills are what you might expect from an average 13 year old, yet somehow she manages to score interviews with big names in the entertainment business. After watching several of her videos, you can see she follows a similar format for most of them by asking some generic questions from her list as she reads them off. She usually replies with a short answer like "oh that's cool", and then moves on to the next question. Interviewers often appear taken back, but get a kick out of doing an interview with someone other than an adult for a major tv or radio station. From reading Pavlia's Youtube profile and seeing her videos, I get the impression that she is one of those kids with a mom who pushes her to do everything and be the best to a point where it is too much. I could be wrong, but it definitely seems that way. Right now she has a lot of video interviews, but surprisingly not a lot of views at all; we're talking maybe an average of 100 views per video. Her videos have viral potential and as soon as a website like Reddit or some famous blogger posts about her, her numbers are going to sky rocket.